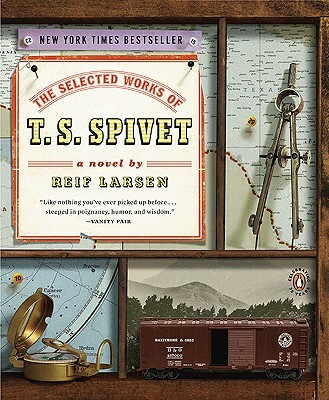 When twelve-year-old genius cartographer T. S. Spivet receives an unexpected phone call from the Smithsonian announcing he has won the prestigious Baird Award, life as normal—if you consider mapping dinner table conversations normal—is interrupted and a wild cross-country adventure begins, taking T. S. from his family home just north of Divide, Montana, to the museum’s hallowed halls. There are some answers here on the road from Divide and some new questions, too. How does one map the delicate lessons learned about family or communicate the ebbs and flows of heartbreak, loneliness, and love? Now a major motion picture directed by Jean-Pierre Jeunet and starring Kyle Catlett and Helena Bonham Carter.